Zone 4. Native to western states. Mixed borders, cutting. Loved by humming birds. Best in a sunny well drained location. 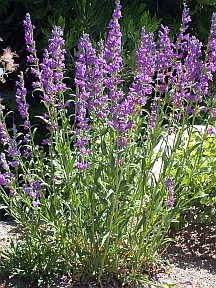 Cut flowering stalks to the ground after blooming to maintain vigor and improve appearance.